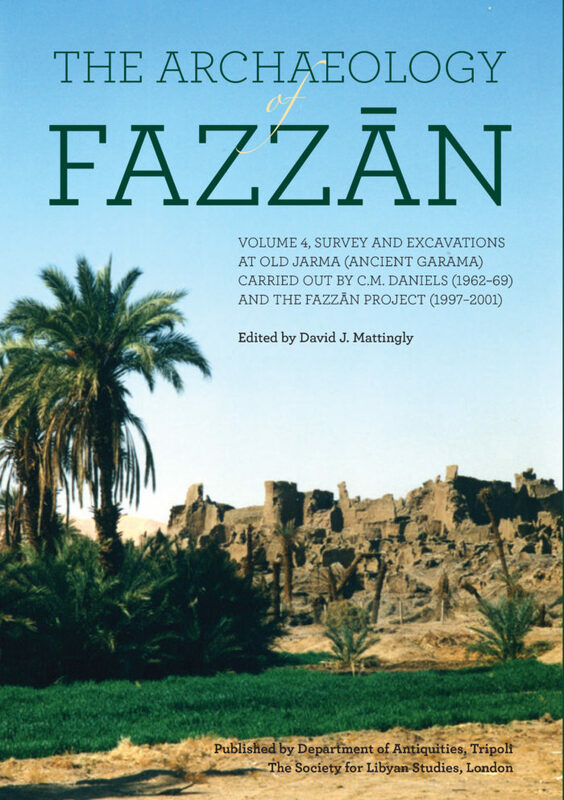 The final volume of the Archaeology of Fazzan contains reports and analysis on a series of excavations carried out between 1997–2001 by an Anglo-Libyan team led by Professor David Mattingly at the oasis town of Old Jarma. The work also incorporates unpublished data from earlier investigations at the site, notably by Charles Daniels (1965, 1969) and Mohammed Ayoub (1962–1967). 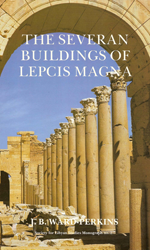 The publication is lavishly illustrated by site plans and numerous colour photographs, many of which were taken by a professional photographer, Toby Savage – particularly of the rich artefact assemblages recovered. The key element of the story of Fazzan is the existence here of an early Libyan civilisation, the Garamantes, who were responsible for a series of notable firsts in Libyan history (first Libyan writing, first towns in the interior of Libya, first oasis agriculture, introduction of the camel, the horse and wheeled transport to the Sahara, development of advanced irrigation technology). 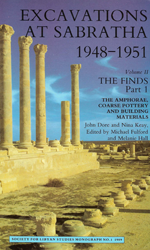 Publication of the Archaeology of Fazzan volumes is putting in the public domain a rich dossier of information about the Garamantes (and their antecedents and descendants in this desert environment). This was a singularly important moment in Libya’s cultural history, with resonances also in Sub-Saharan Africa. 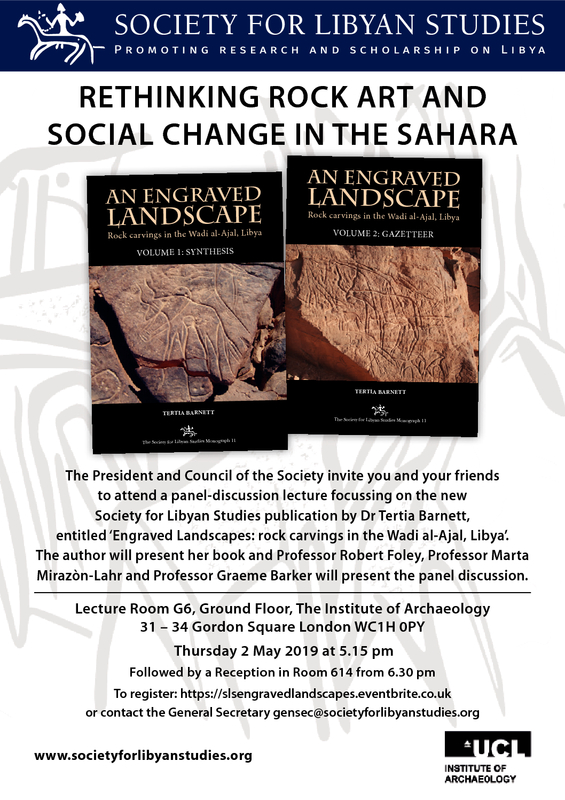 There is great interest in the published volumes from specialists in Saharan, Sub-Saharan and Mediterranean archaeology and history as for the first time it is possible to see in detail the effect of early Trans-Saharan links. 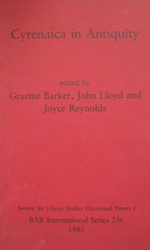 Price: £45.00 for members (£60.00 for non-members from Oxbow Books).